So you’re organising a hen do? 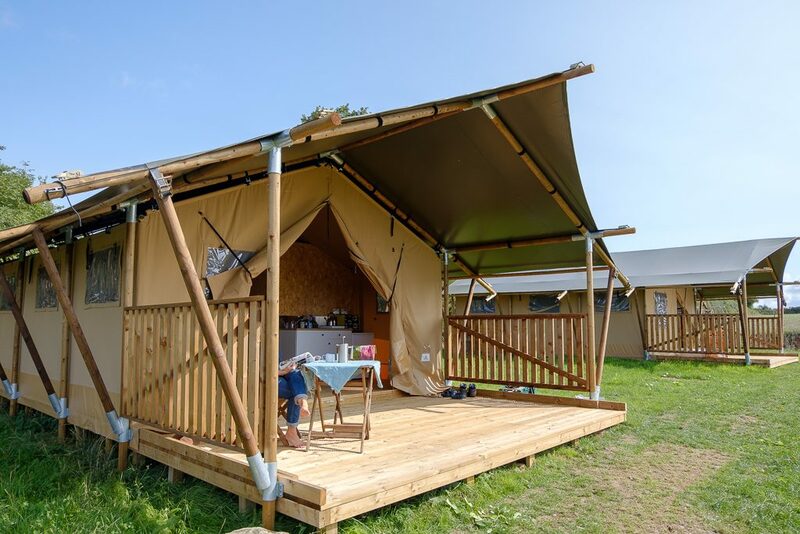 Investigating ideas and thinking Glamping could be a potential option, or decided Glamping is the perfect option for your group and you’re now looking for a venue? We appreciate deciding on, and pulling together all the options involves huge amount organising, coordinating and can be a daunting task. We’re here to help make it easier and help you build your perfect weekend. 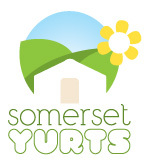 We’ve got details of what hen parties hosted here at Somerset Yurts have done. We’ll provide some ideas for your hen do, and let you know what our site here offers with some sample weekend plans. Do any of these sound like your group? 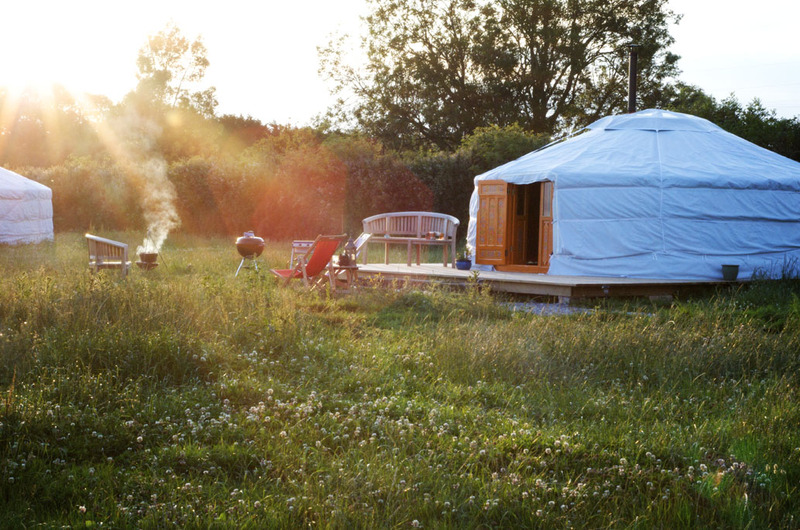 Obviously (we’d say) a glamping hen party is a great option whether you’re looking for an busy outdoorsy, active weekend, or an nice relaxed weekend at a gorgeous location with a few friends. We’ve hosted parties doing both and a mixture in between. We’ve had a couple of groups going Coasteering with Exmoor adventures and they’ve both had a fab time. Exmoor adventures offer all sorts of activities for hen parties including of course Coasteering, but also multi activity days – so something for everyone. Perfect for a group looking for an active and group led day. all in Exmoor National Park – what more could you want! We’ve also had groups venture out to the theatre both locally in Taunton and further afield to Bristol for a day out. 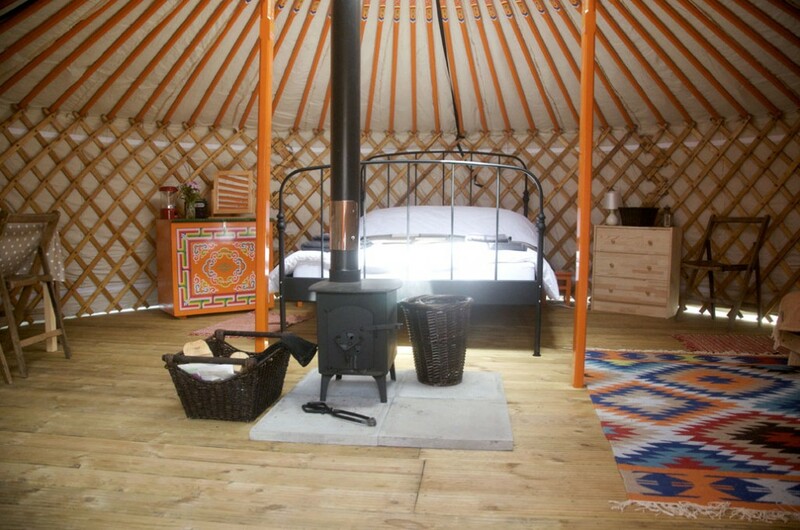 No problems – plenty of hen groups have stayed around the Yurts and putting on their own entertainment. Crafting with Craft and Giggles. Craft and Giggles put on Craft Hen Party workshops offering activities for every level of crafting. Sure to be a fun and unique experience with your group of hens they offer lots of options from ceramic and glass painting to fascinator and bunting making and many more options. You get to choose on their website linked above. Lots of groups love to hire a hot tub and have a very chilled weekend on site – in fact this is such a popular request, that we now supply our own tub! So get in touch if you are interested in hiring a hot tub. Laser clay pigeon shooting – we’ve had groups find instructors to come out to the yurts and run laser clay pigeon shoots – great fun! We’ve had other groups putting on a Sports Day in our Yurt field. Lots of fun and forfeits during the day – and a big loud hailer. Another group hired a bouncy castle…the 2 acre field is yours for the weekend so make it what you want! And of course you are welcome to come down to the farm to see the cows and calves, pet chickens and Kunekune pigs, have a wander around and chat with us about the dairy farm. What can we do in the evening? I hear you ask. 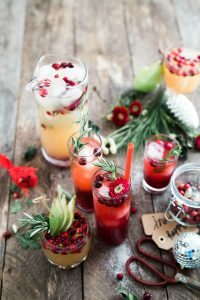 Cocktail bar with cocktail lessons – here’s a couple of companies that offer mobile cocktail lessons: Tipsy Parties and Jam Inn. Evening around the campfire – cooking, drinking, relaxing. There’s plenty of logs, sticks and firelighters here, you just bring the food, drinks and fun. Get in contact if there’s anything else you’re thinking about and need any suggestions -we’re happy to chat through any ideas. and what can we do for food and drinks?! For eating on site, we’re happy for you to get your supermarket order to be delivered here on the day of your arrival – saving you needing to bring car fulls of food and drink, or do a massive shop when you get here. 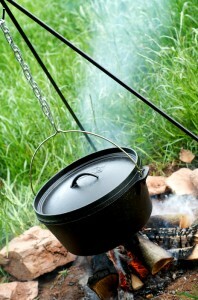 As you’d expect there’s plenty of BBQ’s on site, the facilities barn has a regular kitchen for cooking up a big meal – or you could try some campfire cooking with our dutch oven plus the BBQ’s and Prakti Stoves. Of course there’s local pubs and restaurants too. There’s also a local restaurant Clavelshay Barn – we’ve had several groups go there for a special evening meal and it’s only about 5-10 mins taxi ride. If you fancy meeting the locals, we’re also only about 15 mins into Taunton town centre, which is a small town, but has all the usual suspects of restaurant chains and pubs. As a hen party you get exclusive hire of the site so you can enjoy yourselves without any interruptions from any other groups. 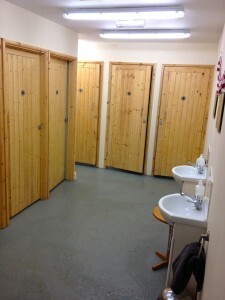 Awesome facilities barn, including a regular kitchen with everything you’d expect at home (pots, pans, plates, cutlery, fridges etc), a big table lots of seats, and plenty of “outside” undercover space if the weather doesn’t play nice, proper loos, with nice hot power showers and plenty of parking. 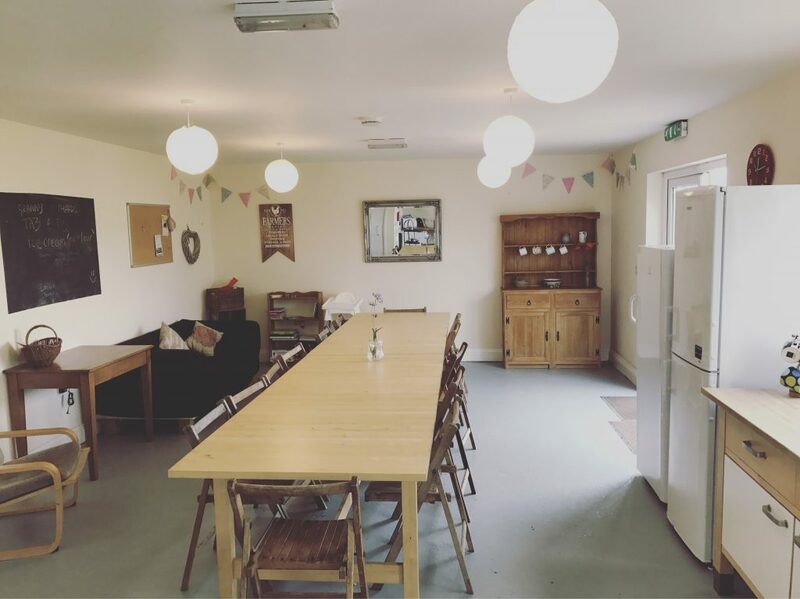 We hope that’s all been helpful – any questions, thoughts or comments please get in touch, contact form, email emma@somersetyurts.co.uk, phone us 07811 350176 or have a look at our booking page for availability.